KHKN came out of Christmas music this morning with a format shift to Classic Hits “Big 94.9“. 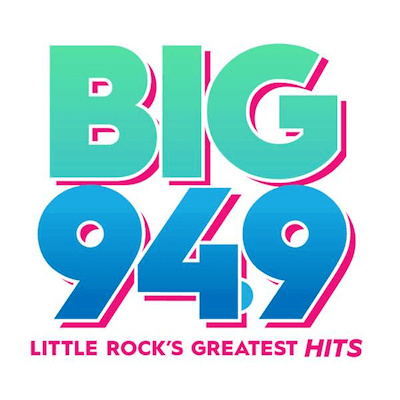 Now positioned as “Little Rock’s Greatest Hits”, the station is focusing on music from the 1970s and 1980s. Original Report 11/1: iHeartMedia has dropped the format of Variety Hits “94.9 Tom-FM” KHKN Maumelle/Little Rock AR and has begun stunting as “Christmas 94.9“. The “Tom-FM” identity had launched in March of 2008 on 106.7 and moved to 94.9 a year later. In the Summer 2015 Nielsen Audio ratings the station ranked 10th out of 14 listed stations in the market with a 3.3 share. With the “Tom-FM” moniker being retired we expect a new format will appear following Christmas.